Twitter Search is a powerful tool for businesses, once you learn how to search, and once you better understand the terms your prospective customers might use on Twitter. This won’t apply to every industry, but I was quite surprised with the tests that I ran, because I was able to come up with prospects for most anything I could think of searching as a potential business opportunity. Let’s go through an example, step by step, so that you can try it out for yourself. Review the search to see if it found accurate or useful results. If not, try several other potential search terms. Click the “Feed for this query” button next to the orange RSS graphic. Repeat step 4 on variations and alternate search terms until satisfied. Specific words, phrases, hashtags (#gnomedex, for example). 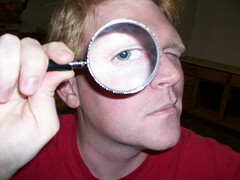 With a bit of noodling, you can refine your searches such that they could potentially find business. For instance, on my above example for hosting, I found several people complaining about how their site had gone down, or that they were sick of bad lag time, etc. If I were selling web hosting, I’d at least offer a hand. There are lots of variations on the theme. Have you tried it? What were your results? Would could you do next? By the way, the Social Media 100 has been completed. I’m going to do “How to” posts as my next series. Feel free to suggest new ones.